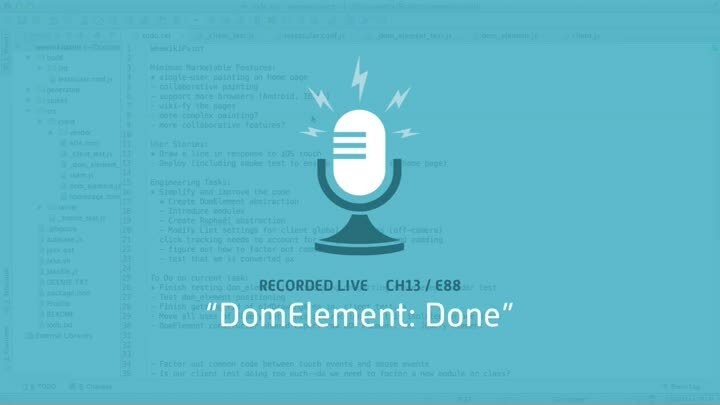 We wrap up our DomElement tests with touch event testing. We write a test for the offset calculations too, but then discover that we can make them private, which simplifies our DomElement interface nicely. In the process, we solve a tricky variable aliasing issue.